• Calgo Gardens was started in 1948 by pioneer business woman Charolette Hirsh. 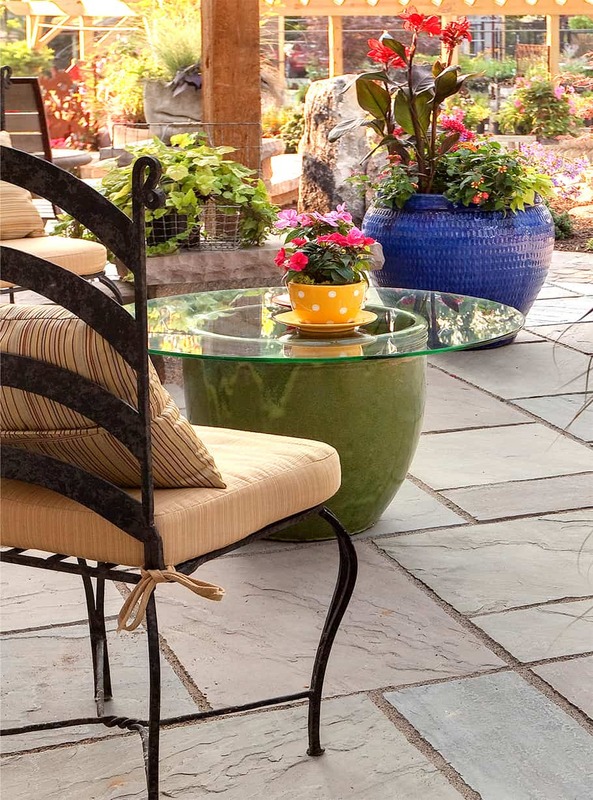 Current owner and principal landscape designer Mark Estomin worked and trained at its Ocean County site until 1978 when he purchased the business that continues to be his passion and vocation. In 1998 wife Penny Estomin became a partner in the business opening an on-site gift shop. In 2010, they transplanted what had been the oldest landscaping and nursery in Ocean County, making it the newest landscaping and nursery in Monmouth County. • Over the years Mark has cultivated a hands-on landscaping expertise that successfully mixes his innate talent, aesthetic vision, positive energy, and real understanding of native plants, local soils and terrain providing enduring, quality landscaping, and a satisfying, fulfilling experience for his clients. 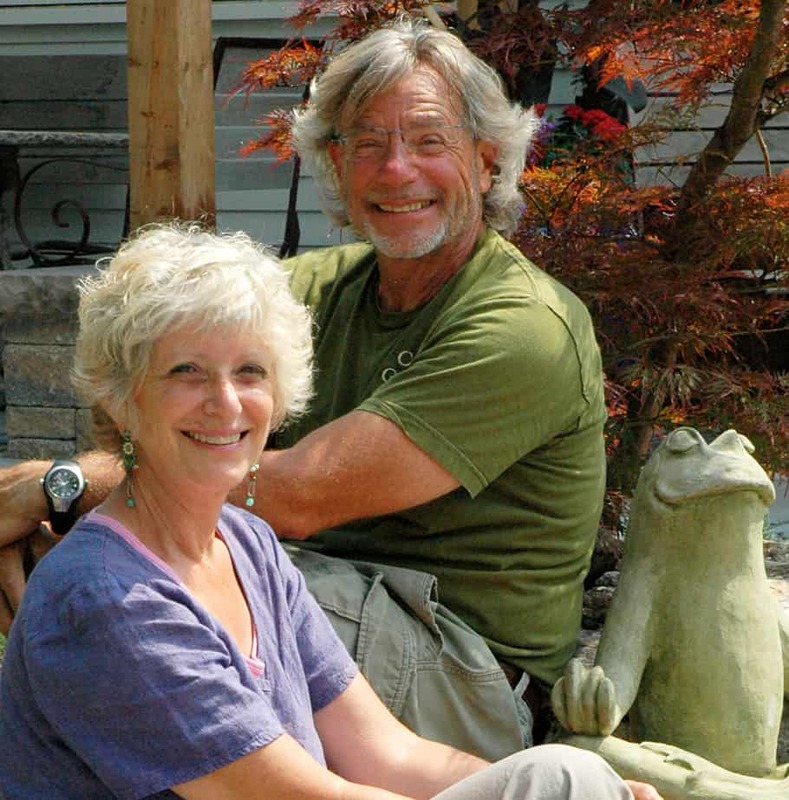 • Every service and offering from Calgo Gardens and its retail showcase The BARN, stems from Mark and Penny’s shared passion for garden living—bringing the inside out and the outside in. Love and respect for nature is their center; art and craft is their inspiration. Their business is a celebration of both. • A true post and beam structure at the former property, The BARN retains its name and blossoms with a renewed delightful charm. It’s an eclectic world of artisan-made, whimsical and functional art. The quirky and sophisticated taste of its owners is reflected in beautiful, surprising elements chosen to enhance and inspire interior and exterior design plans. • Calgo Gardens is now firmly rooted at 462 Adelphia Road in Freehold, New Jersey.